Registration beginning Thursday, May 9th at 7:30 AM in School of Nursing Lobby. Orientation is mandatory for all incoming nursing students in all programs. We will be covering information specific to each program. Please review the information carefully, especially the student check list to ensure you have completed all the necessary steps ahead of your arrival on campus. It is your responsibility to review all materials and follow through on any requirements before your first day of orientation. 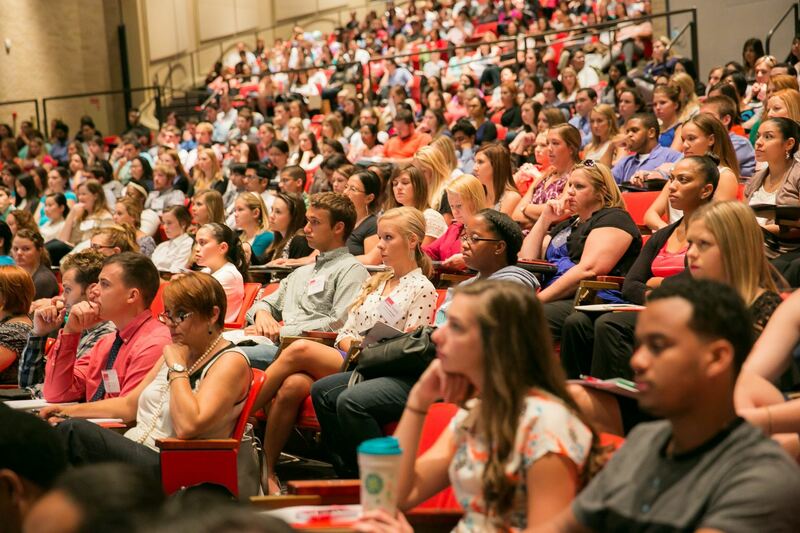 We look forward to meeting you on the first day of your journey to becoming a nursing professional and welcoming you to UTMB! Parking for orientation only is available at the free parking lot (listed as E2 under employee/student parking on the campus map) located off Barracuda Drive, which is directly behind the UTMB Primary Care Pavilion (400 Harborside Drive, Galveston, TX). Shuttles are scheduled to run every 15 minutes from 7:00 AM – 8:30 AM between the parking lot and the School of Nursing building on both mornings of orientation. The shuttles will also run from 4:30 PM – 6:00 PM on May 9th and 5:00 PM – 6:00 PM on May 10th to return you to your vehicles. Parking in any other area on campus without proper parking credentials could result in a ticket and/or your vehicle being towed. Carpooling is highly encouraged!